Just breathe in and out. Open your eyes, ears and heart. Let your mind rest. As ideas fall away, each moment fully reveals itself. Zen means: discover the truth of your life for yourself. So to understand Zen, you must try it. 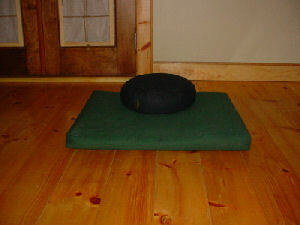 If you’re new to Zen practice, we invite you to call ahead and arrange for instruction. You’ll learn the basics of Zen meditation and see how this simple practice can help you and those around you. Please wear comfortable clothing such as t-shirts, loose-fitting long pants and socks. In cooler weather, you might also bring a sweater. We ask students to refrain from wearing shorts. If you’re a seasoned meditator, you may join us at any of our regularly scheduled group meditation periods.